MANILA — Malacañang on Friday night said Filipinos cannot be blamed if they think the case filed against President Rodrigo R. Duterte is politically-motivated. 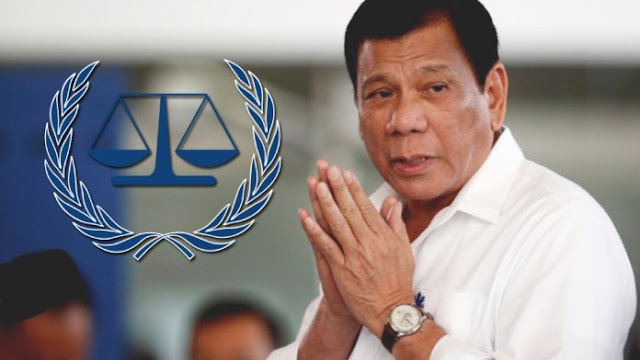 "With the biased and pre-conceived actions of the ICC, we cannot blame the Filipino people for thinking that it has taken a politically-motivated obnoxious path aimed at maligning not just this Administration but the very Republic of the Philippines," Presidential Spokesperson Salvador Panelo said in a statement. Panelo said the Office of the Prosecutor of the ICC "is indeed bent on interfering with the sovereignty" of the country when it said in a letter to the National Union of People's Lawyers that it will analyze the latter’s communication. "It is only when a criminal investigation has commenced prior to the effective date of the withdrawal that the ICC can continue with the case initiated. What the ICC, through the Office of the Prosecutor, is conducting is only a preliminary examination and not a criminal investigation or proceeding," he said. "There is nothing under consideration by the Court yet as the matter is still with the Office of the Prosecutor. With the categorical wordings of Article 127, there is therefore no basis under the Rome Statute for the ICC to proceed with any of its activities relative to the President’s programs against illegal drugs," he added. Panelo also challenged administration critics to file a case before a competent Philippine court as he cited the Rome Statute which said the ICC can only act if there is inability or unwillingness of the State Party to investigate and prosecute its own offenders for the commission of crimes referred. "We urge any individual who has sufficient evidence to file a case before a Philippine court of competent jurisdiction and contend that the deaths resulting from the war against illicit drugs are State-sponsored. This is the only way we can determine if there is indeed inability or unwillingness on the part of the Philippine Government to investigate and prosecute these alleged crimes," he said. Panelo added that non-filing of cases could mean there is no evidence to support their claim against the government. "Revelations will then be had that all these allegations are mere fabrications contrived by those who wish to destroy the anti-illegal drug campaign of the President," he said.